Examining the Issue (Part Deux): Customs Inspection Questions Answered! | Samuel Shapiro & Company, Inc. Examining the Issue (Part Deux): Customs Inspection Questions Answered! Just a few phrases you may use when a shipment gets pulled for a customs examination, or if you’ve been in this industry long enough, it’s more like a slew of curse words that you wouldn’t dare speak in front of your mom. But don’t worry, Shapiro is here to clear things up. In our first installment, we covered some common reasons your shipment may get flagged for exam, how to know when your shipment is under examination, and the three major types of exams importers face: Vehicle and Cargo Inspection Systems Exam (VACIS)/Non-Intrusive Inspection (NII)/X-Ray Exam, Tailgate/Backdoor Exam, and a Contraband Enforcement Team (CET) Exam/Intensive Exam. Based on your feedback, this second installment will feature additional information, answering the most common inquiries that importers have asked about the exam process and some tips on reducing the chance of inspection. Why is my shipment being flagged for exam? Unfortunately, CBP does not disclose examination information to the trade community because of national security risk, but there are some common elements that are analyzed by CBP in the process. Examined shipments could be flagged due to incorrect or un-filed paperwork, the commodity, a flag on the supplier, the importer’s record of history of exams/shipments, the product’s country of origin, or goods that are commonly counterfeited or contain copyrights. Under 19 USC 1467, Customs and Border Protection (CBP) has the right to examine any shipments imported into the United States, and you, the importer, are required to bear the cost of those cargo exams. 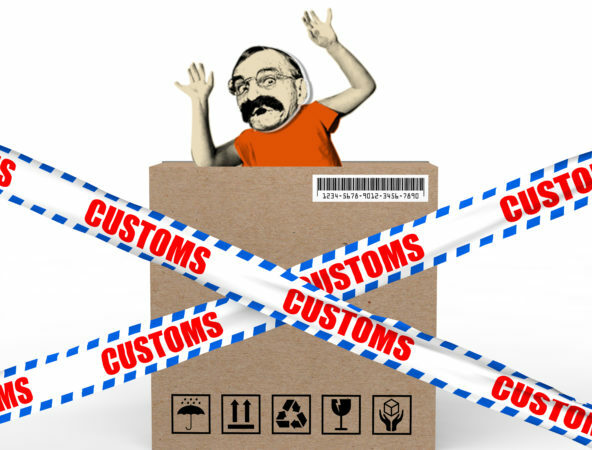 First-time importers and repeat offenders, beware! Why does the exam process take so long? Your broker can request updates, but in most cases, CBP will only provide updates as to the general status until the examination is complete. VACIS and Tailgate exams don’t require as much “heavy lifting” from Customs and shipments that undergo these exams are typically released in 2-4 days. Things get a little trickier when it comes to an Intensive exam. Depending on port congestion and exam backlog, it can take a few days to several weeks for the exam to be completed. How much does the exam cost and why are the fees so high? Fees vary by examination and numerous additional factors determine how much the inspection will cost the importer. Remember, not all exams are created equal. Typically, less intrusive exams (VACIS and tailgate inspections) will have significantly lower costs because the cargo does not have to be unloaded or taken to a bonded facility. Intensive examinations are associated with higher costs because before moving to a bonded facility for a detailed inspection, the container must be x-rayed for the safety of inspectors performing the examination adding costs. Sometimes it’s not even the cost of the exam creates additional fees, especially in instances where the container has to be relocated to a bonded examination facility or is held past the last free day designated by the carrier. For more information about charges associated with the port and steamship line wait times, check out our Shap Blog: Demurrage, Detention, Per Diem… Oh My! 6 Tips to Avoid Additional Charges. Note: This does not include bonded drayage (trucking) to and from the port for intensive examinations or fumigations. How can the importer be held responsible for demurrage/detention if not in possession/control of the equipment? Hope you took a moment to read the Shap Blog mentioned in the previous question. It’s important to understand that detention and demurrage fees are not charges executed by Customs; the fees originate directly from the steamship line and/or port. In most situations, the exam process can occur quickly enough that there are no additional fees from the port or carrier, but if the exam procedure exceeds the last free day, equipment fines will be applied. In addition, if the bill of lading contains multiple containers, the remaining container may be required to wait at the port, unreleased, until the flagged container has completed its examination. What can I do about my goods that were damaged in the exam process? When it comes to damaged goods and customs inspections, little can be done to hold the government directly responsible. We recommend that you insure your shipment properly through your broker/forwarder or a third party insurance company. Even if your Incoterms require the shipper insure the cargo, most often the coverage is insufficient and there’s no guarantee your items will be protected. Download Shapiro’s resource, Cargo Insurance Facts: 4 Common Misconceptions Debunked, for an overview! How can I reduce the number of exams conducted by CBP? This is the million dollar question every importer asks! Below, we’ve listed a few tips on how to minimize your exposure to Customs inspections. CBP offers great benefits to members of Customs-Trade Partnership Against Terrorism (C-TPAT); a voluntary security program led by U.S. Customs and focused on improving the security of a company’s supply chain. A reduced number of inspections and reduced border wait times – certified C-TPAT partners are 5 times less likely to receive Customs examinations even while the overall exam rate has increased in recent years. A C-TPAT supply chain specialist to serve as the CBP liaison for validations, security issues, procedural updates, communication and training. Certified C-TPAT importers are eligible to access the Free and Secure Trade (FAST) lanes at the Canadian and Mexican borders. C-TPAT members will receive up to 50% penalty mitigation for Importer Security Filing (ISF) 10+2 violations. Validated C-TPAT participants receive fewer inspections. If your shipment is selected for examination, your container will receive priority and move to the front of the line. More information can be found on CBP’s Customs-Trade Partnership Against Terrorism resource page. Choose an advocate not a lazy cat! Comfortability in knowing your logistics provider is well-versed and knowledgeable about the supply chain process and the intricacies that come with specific commodities that may be more prone to examination is a crucial benefit. You should have faith that your broker/forwarder is actively following up on the status of your examination and pushing it through the process instead of waiting to follow up after frantic phone calls from the importer. If certain suppliers or providers shipments always seem to be flagged, importers can benefit from using reputable partners resulting in a lesser likelihood of shipments being pulled based on a supplier’s, broker’s, or forwarder’s past experiences with CBP. Luckily, Shapiro is not only reputable, we are extremely compliant and oh yea… have over a century of experience. Your broker filed ISF late, your supplier provided the wrong commercial invoice, or you didn’t know that your product was regulated by the FDA; what do you do now? Knowing what documents and information are required to file ISF properly and on time as well as filing the entry correctly can mean the difference between a good profit margin and a non-existent one. Contact your broker immediately to have the ISF filed (even if it is late) and pray that you don’t get slammed with the $10,000 USD fine. Yup, that’s right… $10,000 USD for the first infraction, and $5,000 USD for each additional violation. Don’t let the numbers shock you, ISF (otherwise known as 10+2) has been around since 2009. 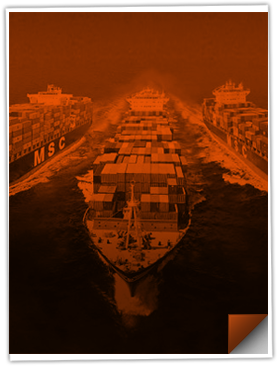 Ensure that you and your broker have all the necessary documents from the supplier, overseas agents, or any other parties involved with the shipment prior to departure of the shipment. Choose a reputable partner to handle ISF, document handling, and customs entry filing to ensure the entire process is completed flawlessly. Prior to importing the goods, confirm with your broker if any OGAs (other government agencies) apply to your products. This is crucial when it comes to goods that require a necessary licenses or permits pertaining to agencies such as FDA, F&W, EPA, etc. So, you’ve selected the best providers in the world, done everything correctly, and your shipment was still flagged for exam. What else could it be? 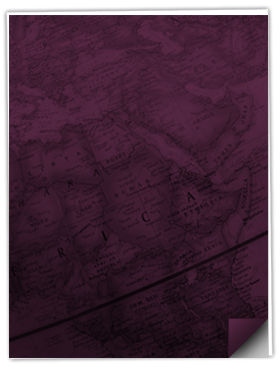 Country of origin can be a factor, so try to avoid “high-risk” areas and keep abreast of trade news for your particular routing. A great way to stay informed is to subscribe to Shapiro’s publications and get it directly to your email! While the country of origin is very important, the types of goods you import could impact the amount of exams you receive as certain products are prone to be examined more frequently. Ensure the description of goods is correct and your valuations are in order. Do not consolidate time-sensitive shipments since you never know whose cargo will end up in the container with your goods. 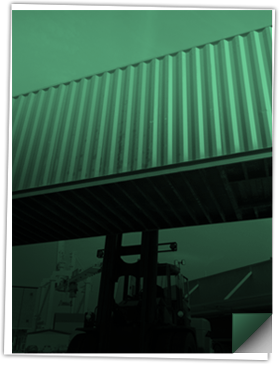 For less-than-full-container (LCL) shipping, if a portion of the freight is flagged for examination, the whole container is held. No importers want their cargo held up by inspections, but the truth is, Customs exams are crucial in keeping the U.S. safe from terrorism, illegal entry, intellectual proper enforcement and of course, safe consumption for the American market. CBP isn’t the big bad wolf, but rather an additional “safety net” to keep our country secured and protected. We hope by utilizing some of the tips above you can reduce the number of exams or expedite the process, but if all else fails, grab a glass of your favorite libation and wait out the hostage situation! Do you have any helpful tips or interesting exam stories? If so, leave a comment below! I totally agree that using a reputable partner is the way to go when it comes to shipping internationally. When you’re trying make sure things get through customs, having someone with experience is the way to go. There’s a lot of things that you can personally do to make sure that everything goes smoothly, but having a good company is a big one. Thanks for sharing!